Arrival in Beijing in the morning, Transfer to the hotel. After taking a break begin our Chinese wonderful tour. And the sightseeing on today the Temple of Heaven: A paragon of Ming design, the Chinese name actually means “Altar of Heaven”, originally served as a vast stage for solemn rites performed by the Son of Heaven, who prayed here for good harvest, and sought divine clearance and atonement. The Forbidden City: So called because it was off limits for 500 years, the Forbidden City is the largest and best-preserved cluster of ancient buildings in China. It was home to two dynasties of emperors, the Ming and the Qing, in total 24 Chinese emperors. 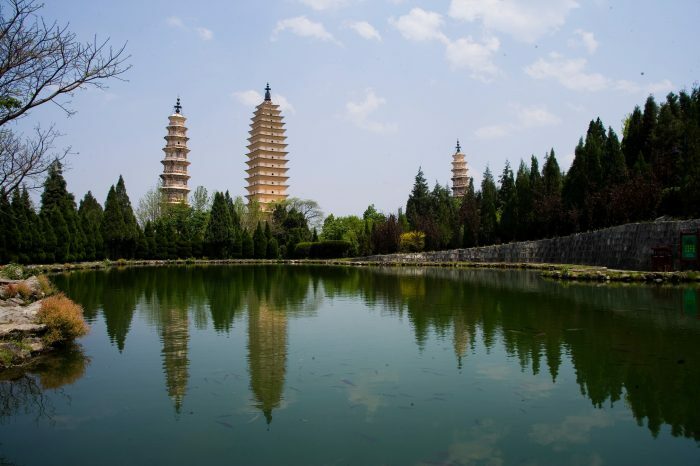 The Summer Palace (Yihe Yuan): this opulent dominion of palace temples, gardens, pavilions, lakes and corridors was once a playground for the imperial court. Royalty took refuge here from the summer heat that roasted the Forbidden City. Great Wall of Mutianyu: in many sections of Great Wall in Beijing, this 3km-long section of wall is in Huairou county and less known. It’s renowned for the Ming-dynasty guard towers and stirring views. Ming Tombs: The Ming Tombs are the final resting place of 13 of the 16 Ming emperors. Hutong Rickshaw Tour: A journey into the city’s Hutong is a voyage back to the original heart and fabric of Beijing. Many of these charming alleyways have survived, crisscrossing east-west across the city and linking up into a huge, enchanting warren of one-storey, ramshackle dwellings and historic courtyard homes. Fly to Lhasa, the holy city. Take a break and begin experience in Tibet. Stroll around in Barkhor Street. You will get used to the altitude and become familiar with the atmosphere here gradually. The Potala: Lhasa’s cardinal landmark, the Potala is one of the great wonders of world architecture. It’s a structure of massive proportions, an awe-inspring place to visit. The Jokhang: It is the most revered religious structure in Tibet. Thick with the smell of yak butter, the murmur of mantras and the shuffling of wide-eyed pilgrims, the Jokhang is an unrivalled Tibetan experience and couldn’t miss. Drepung Monastery: about 8km west of central Lhasa, Drepung was once one of the world’s largest monasteries. The word Drepung literally translates as “rice heap”, a reference to the huge numbers of white monastic buildings that once piled up on the hillside. 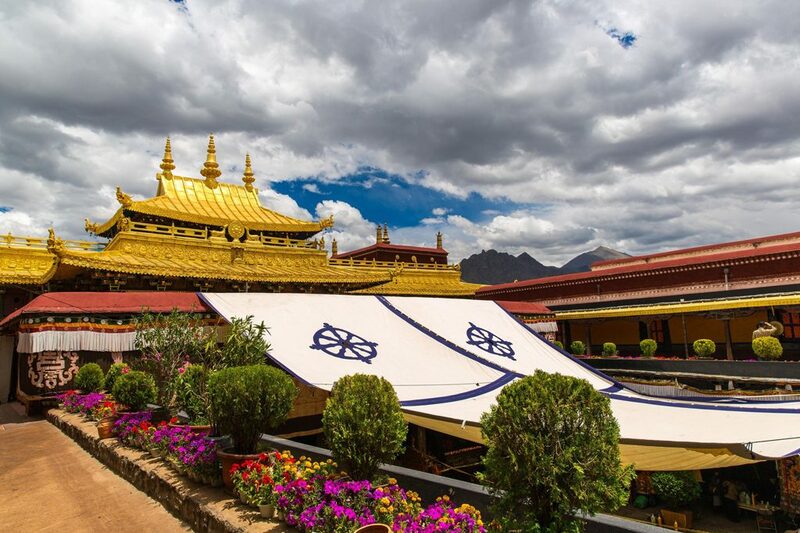 Norbulinka: it’s in the western part of town and was the summer palace of the Dalai Lamas. Drive to Gyantse (260km) via Yamdrok-tso Lake. Yamdrok is the third-biggest holy lake in Tibet and we can have rest and take some photos here. Then head over the glacier-draped Karo-la pass (5010m) before get to Gyantse. Visit in Gyantse in the morning of Dzong, The stiff 20-min climb to the top of the Gyantse Dzong is worth the effort for the great lookouts. And Pelkor Chode Monastery, filled with fine paintings and statues, and as deservedly top of the list on most traveller’s must-sees. And then drive about 90km to Shigatse, the Tibet’s second-largest town and the traditional capital of Tsang province. Visit the impressive Tashilhunpo Monastery after arrival. Tashilhunpo is one of the six great Gelugpa institutions, along with Drepung, Sera and Ganden Monasteries in Lhasa, and Kunbum and Labrang in Amdo. Also it’s the seat of an important lineage: the Panchen (“great scholar”) Lamas. It is a real pleasure to explore the busy cobbled lanes twisting around the aged building. Drive back to Lhasa, and stay overnight in Lhasa. Flight from Lhasa to Chengdu. And drive to visit the Sanxingdui Museum in Guanghan city (nearby Chengdu) after arrival. It has the history of over 4000 years. Drive to Dazu. Visit the grotto art at Dazu County which is a UNESCO World Heritage site. Scattered over roughly 40 sites are thousands of cliff carvings and statues (with Buddhist, Taoist and Confucian influences), dating from the Tang dynasty to the Song dynasty. We drive from Dazu to Chongqing today. Set on a peninsula where the Yangzi and Jialing Rivers meet, this damp and steamy megaloplis-best konwn to tourists as the deparuture point for Three Gorges cruises-is frequently shrouded in daytime haze and fog. So it’s also called the mist city. Along the road enjoy the picturesque landscape. 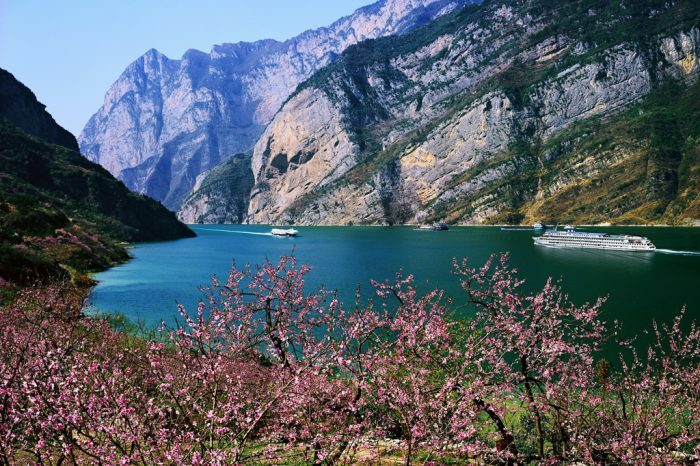 Enjoy the Yangtze cruise, via the sightseeing of the Ghost City-Fengdu, Little Three Gorge etc. Jinmao Tower: it’s Pudong’s most arresting modern spire and China’s second-tallest building (420.5m). There’s an observation deck on the 88th floor. The Bund: Symbolic of old Shanghai, the Bund was considered as the city’s Wall Street, a place of feverish trading, of fortunes made and lost. The optimum activity on the Bund is to simply stroll, contrasting the bones of the past with futuristic geometry of Pudong’s skyline. Yuyuan Garden: it features a traditional Chinese park with its shaded alcoves, glittering pools churning with carp, pavilions, bridges, and pines sprouting wistfully from rockeries. Shanghai Urban Planning Exhibition Hall: The exhibition hall shows Shanghai’s urban planning and development. Children’s Palace: The Shanghai Children’s Palace provides many kinds of training after school for children. Free time in Shanghai city today.